Barbara J. Culliton, one of the most distinguished and well-informed science journalists in the United States, is a woman who has played many roles as a journalist and an independent Board member for some of the country’s most prestigious scientific institutions. She created new scientific journals as well as one of the first online news magazines in genomics. She fostered the careers of Pulitzer Prize winners and authors of New York Times best-sellers and reinvigorated existing publications. The Institute of Medicine of the National Academies to which she was elected in 1989. The IOM’s governing council where she served two elected terms of office. The American Board of Internal Medicine, which certifies physicians, and its affiliate, the ABIM Foundation, where she was a member of its communications board. The Albert & Mary Lasker Foundation where Ms. Culliton was, for many years, the principal writer of the Foundation’s Awards brochure, explaining and defining the remarkable work that has earned many scientists the Lasker Award, known as the “American Nobel”. Under the auspices of the Lasker Foundation, she wrote a special series of vignettes for The New Yorker She also served as the only journalist on the the committee to select Nancy Brinker of the Komen Breast Cancer Foundation as the winner of the 2005 Public Service Lasker Award for contributions to medical science. Dartmouth Medical School, as a member of the Board of Overseers for more than six years. The Institute of Human Virology, University of Maryland, as a member of the Board of Advisors, from its founding in 1996 to the present. The National Academies, where she served for four years as the first chair of its Communications Awards committee under the Academies Keck Futures Imitative. Ms. Culliton headed a jury of journalists and scientists in selecting winners in three categories; Books, Newspapers and Magazines, and Television and Radio. Winners each receive $20,000 in recognition of their success in presenting science to the general public in an accurate and accessible way. The Liz Lerman Dance Exchange. Liz Lerman, a dancer and recipient of the MacArthur Fellowship, also known as the “Genius Award”, produced a much heralded performance aimed at introducing audiences to science through dance. Ms. Culliton was an active advisor for the production of ‘Genome: Ferocious Beauty,’ which won acclaim at every performance. Since the fall of 2005, Barbara Culliton has been working with Health Affairs, the nation’s most politically influential health policy journal, to develop new approaches to healthcare in the United States, by creating a dialogue among health policy scholars and insurers on the one hand and biomedical researchers on the other. Prior to her consulting work with Health Affairs, Ms. Culliton founded one of the first and most expansive online magazines about genomics at a time when researchers were racing to sequence the human genome. She launched the Genome News Network (www.genomenewsnetwork.org) at Celera Genomics in 1999; it was subsequently published by The Center for the Advancement of Genomics. Ms. Culliton’s reputation as a sound, insightful writer was established early on during the 18 years she spent as a reporter and news editor at Science. In 1991, she branched out into international science publishing. She became Deputy Editor of Nature, then published by Macmillan in London. As the biomedical sciences exploded with new and exciting data, she launched nature Genetics, nature Structural Biology and nature Medicine. Each quickly achieved enviable status within the science publishing world for both quality and profitability. 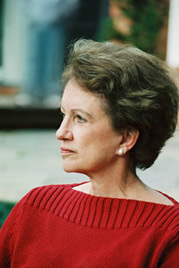 Due to her reputation as a writer and a mentor of young writers who went on to positions of great distinction with U.S. newspapers, Ms. Culliton was named Times Mirror Visiting Professor and director of the graduate science writing program at Johns Hopkins University in Baltimore, a position she held from 1990 to 1998. In her first job at Science News, a well-read weekly for the general public with a long history of giving young writers a chance to cover mainline news early in their careers, Ms. Culliton was initiated into the ways of Washington policy and covered such major stories as the first human heart transplant and surprising congressional reaction to such a stunning medical advance. It was the beginning of a distinguished and acclaimed career.